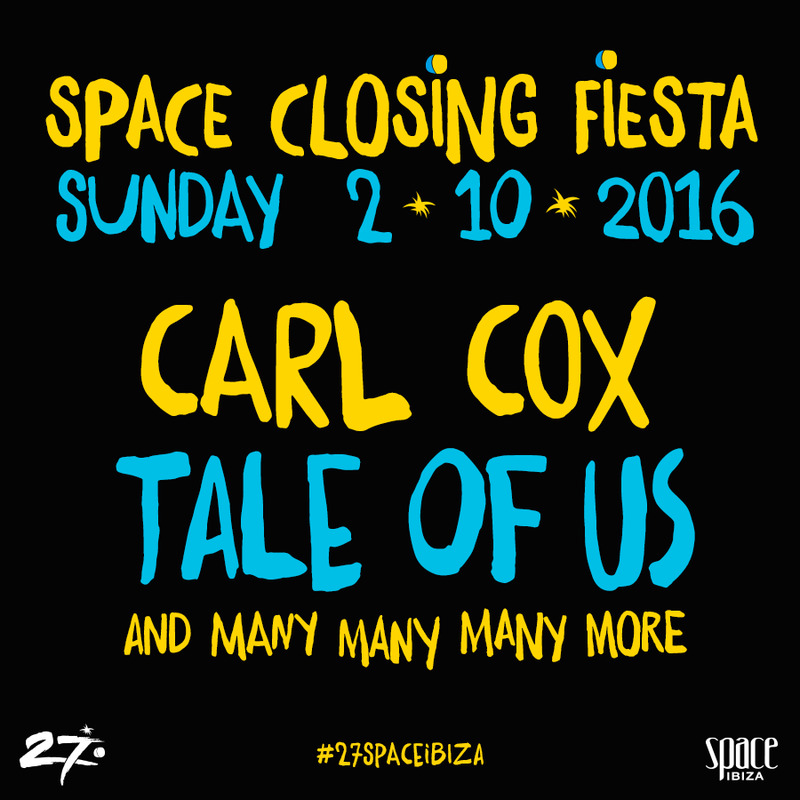 Space Ibiza have revealed Carl Cox and Tale Of Us will play the club’s final closing party, which takes place on Sunday 2nd October. Tickets have also gone on sale. The artwork to the closing party, which you can see below, states “many, many, many” more artists are to be announced for the event, which promises to be one of the hottest tickets of the year. However last month a series of photos showed Rosello’s time at the helm of Space coming to a close in October isn’t stopping him enjoying his final summer. In the shots he could be seen embracing with Erick Morillo, pointing out a punter wearing a “gracias Pepe!” t-shirt, and hugging Carl Cox, who comes to the end of his 14-year residency at the venue this year. You can see the artwork for Space’s final closing party below and watch Carl Cox’s set from week five of his final Music Is Revolution residency underneath that.